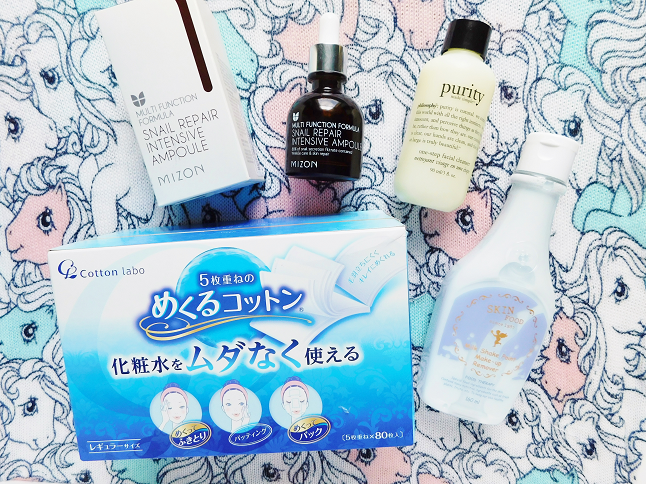 MooeyAndFriends: Mini Skincare Haul ♥ Skin Food, Cotton Labo & Etc. The past two weeks I've been saving some of my recent skincare purchases and saving them for a haul. I bought all these products thanks to Amazon Prime. I love that Amazon carries Korean beauty products, some that you can get within 2 days thanks to Amazon Prime! 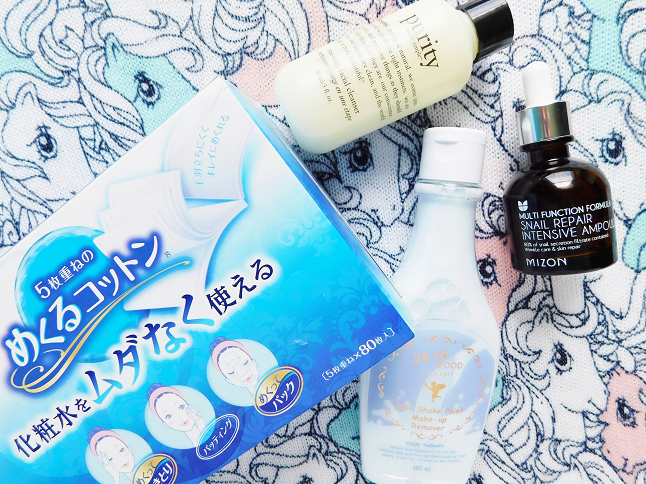 Today I am sharing my latest skincare buys with you guys. The Mizon Snail Repair Intensive Ampoule has been on my wishlist for a while so I decided to finally buy it. I know some people are kind of scared to use products that contain snail but snail has been proven to help reduce wrinkles so I'm all for it! I ran out of make up remover and needed a new one so I bought the Skin Food Milk Shake Point Make Up Remover. I actually wanted the rose one but they didn't have it available via Amazon Prime so I went with this one. My skin is so picky! I needed a new cleanser to replace the Cosrx good morning cleanser because it started to break me out. I didn't want to buy another new cleanser and risk the another break out so I bought an old cleanser that I knew worked with my skin, Philosophy's Purity Made Simple Cleanser. 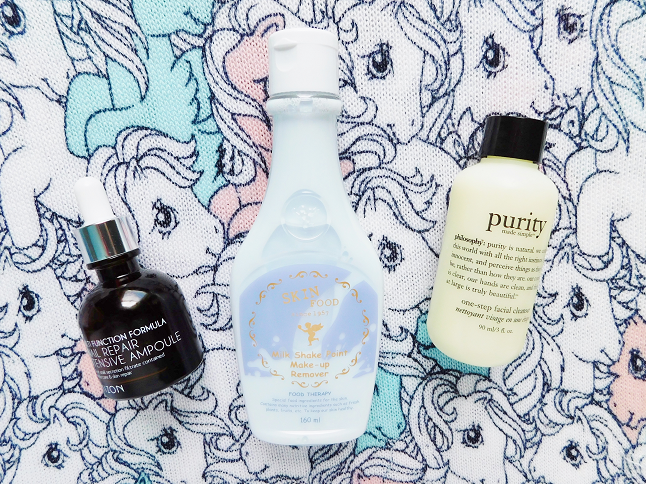 This was my go-to cleanser a couple years ago. I've used it a couple times and so far it's working with my skin. 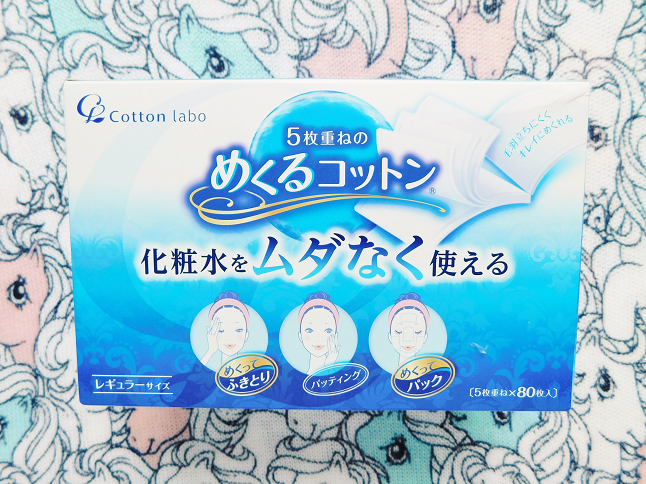 Asian layered cotton puffs are my favorite because you can rip the puffs apart and use as a mask. I found this box on Amazon for $8 for a set of 80. Do any of you like using these type of puffs too?